17thc Oak Gateleg Table . English. C1680-90. 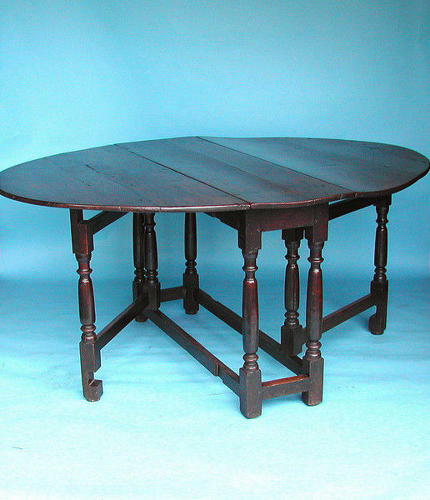 A nice example of a William & Mary Oak Gateleg Dining Table, boldly turned and standing on "gun barrel" shaped legs, joined all round by plain stretchers.... hand made hinges and with a good colour and natural patination.